Clio & Phineas: Awesome (Fledgling) Sewistas! So, you may remember my first Frosting Diet give away back in January. 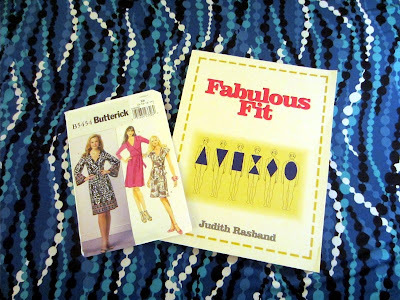 This week I heard from Jodie K, who won that giveaway, and thought I would share this slice of sewing awesomeness with you. Jodie is a Food Studies and Fashion Studies teacher at a high school, and the students in her Fashion Studies class are entering a fashion show that is part contest and part fundraiser. Here she is - wearing a top she made from a portion of the fabric she won! - talking about her students and the contest. First off, kudos to Jodie on the excellent top! I'm so glad the fabric found a more deserving home than mine. Next, why weren't class projects this awesome when I was in high school?? Seriously! Here are Jodie's students talking about muslins and fitting and all the things we sewists like to gab about - Cheyanne, Gabby and Bobbie-Joe. I want to call them Project Runway: The Next Generation. Can you believe they just started learning to sew in February? Their fashion show contest will take place on April 25 - lots of luck Cheyanne, Gabby and Bobbie-Joe! Anyway, I've decided that I'm having so much fun with giveaways that I'm going to try to make it a monthly event while I continue to sew frosting. Tune in next week for your next chance to win something. This is awesome! Home-ec morphed into something much more current. Your fabric found a deserving home. Just perfect. What an incredible teacher. She has really let them spread their wings and fly with this challenge and you see they are learning so much. I love how they used the thrift store for their fabrics for the skirt.. Fabulous! Awesome! I can't wait to see their finished garments! Right?? They are already on the restyle/upcycle trend. How cool! I would have loved having a teacher and a class like this when I was in high school (no home ec at my school, unfortunately)! I hope there will be video from their fashion show! That is sooo cool. Agreed - why could we not have had classes like that back in school? If only I could get my sewing teacher in the same room - I'd knock some sense into her. And then we'd all sew along happily ever after!